The railroad crossing at Station Row, left, and the "Times Square" building, right, at Independence Street. The Times Square building now houses Chillers. 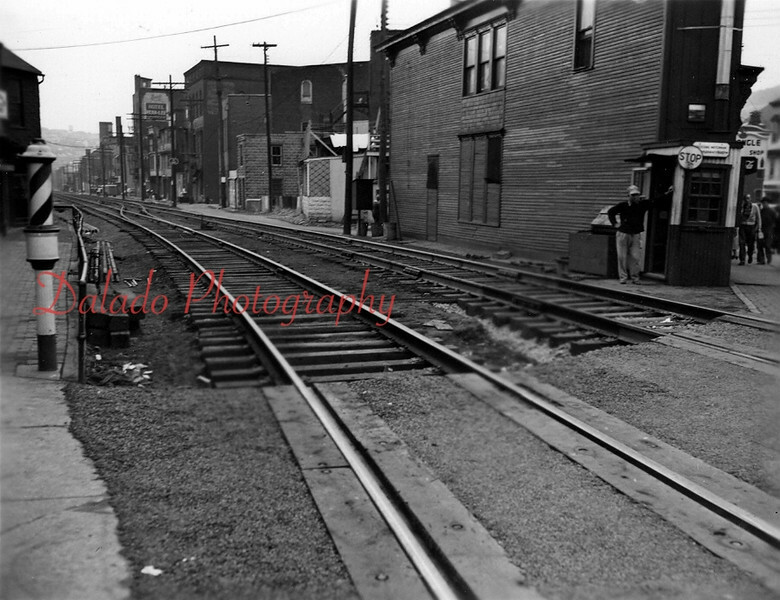 Water Street (background) was expanded in 1964 when Reading Railroad Company abandoned the line at right.